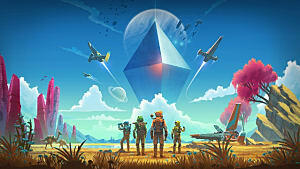 Like many who purchased No Man's Sky last week after its marketing blitz, I was left wondering a mere three hours or so in what all the fuss was about pre-release. Regardless, I kept pushing through. I pushed through over 20 hours myself and watched my husband play for about five, yet still that feeling persists. I'd be lying if I didn't say I've been one of many complaining about No Man's Sky to my friends and a few forums, but even with all my whining I still turn around and say "..but it's not a bad game". I keep coming back to the game and plundering the tech and resources of planets I come across, hoping to find something new and magical. Anything I haven't seen before, you know? 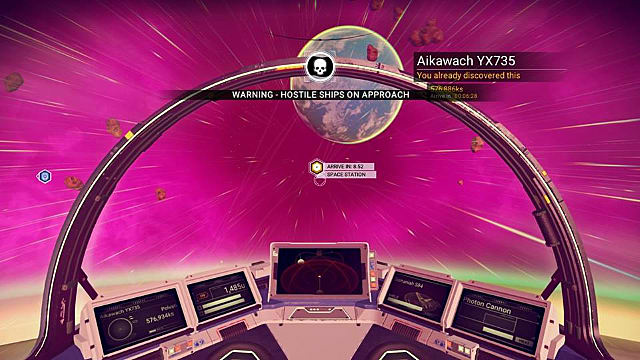 Terrain, space stations, species -- I really will take anything that's new and fantastical, and every No Man's Sky player is well-aware of that feeling. That is the point of the game, after all. Flying from planet to planet to see what there is to see is interesting but not especially fulfilling. Most who have played the game seem to agree, based on the overall community consensus. The game is interesting but ultimately bouncing around the universe is not a particularly fulfilling nor dynamic experience. Despite the variety of plants, terrain, and life forms you come across on your intergalactic sightseeing adventure (may as well call it that), things just don't seem varied enough. Is that odd to say? It feels odd to say considering the entire game is randomly generated, but it's the truth. 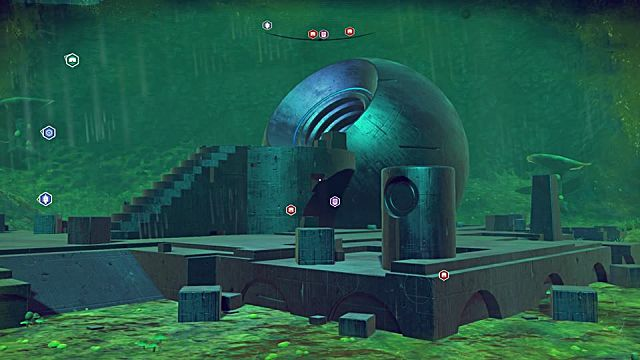 Every planet may be different, but you're still ultimately doing the same things on all of them: gathering resources, looking for structures, and probably analyzing species. And while you're doing this you are hoping from the bottom of your gut that just maybe something truly different will happen this time. In time, I stopped being disappointed about No Man's Sky's lack of true variety. Being disappointed is tiring, and it's much easier to simply not care. I spent $60 on this game, and if you're reading this you probably did too. Unless you purchased on Steam, you're probably not getting that money back. Of course if you're loving the game you're not going to do either of those, but I did. I went with the second option because, to reiterate, I spent $60 on this game and that money is not going to waste. I am going to play this game until I hate it. I'm pretty up front with my friends about my buyer's remorse with No Man's Sky. A distinct rarity in today's industry. Yeah, I'm disappointed. Yeah, it's boring. Yeah, I'd be having more fun playing either Kingdom - New Lands or This Is the Police, two other games I've bought recently. But I'm pushing through with No Man's Sky, both because I spent a chunk of change on it and because of the hope. The hope I'll come across something amazing. 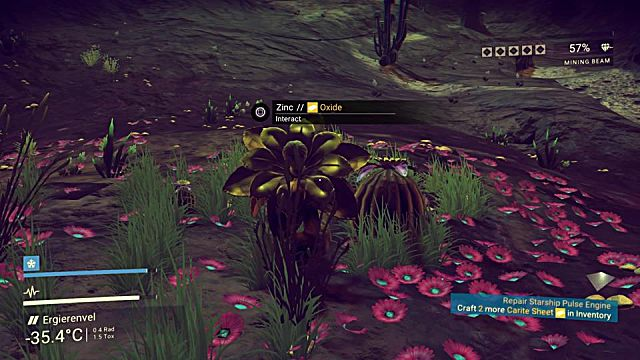 The hope I'll find a planet I fall in love and have a great time with. 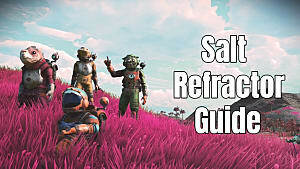 The hope I'll figure out what Hello Games were thinking putting the game out in its current state, lacking so many of the features they mentioned pre-release. The hope I'll finally have some fun. There are some times in life where you have to accept something you don't want to be the case. Whether realizing you're not as good at something as you thought, that promises from others aren't as iron-clad, or simply that a game is not good. 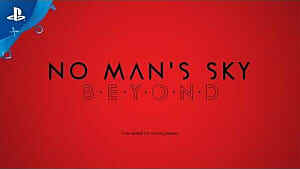 I very much want No Man's Sky to be a good game, this is a big change from the expectation it would be good when I bought it. 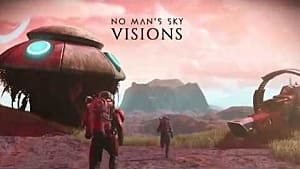 I expected it to be good because of all the promises Hello Games made (you should read this but note the URL may die), because of the footage they showed pre-release, and because the game was sold as a $60 title despite being developed by a small indie team. 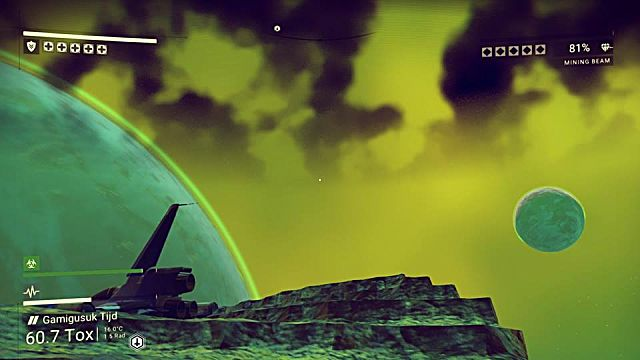 As I pushed forward in my first few days, my expectations were sorely disappointed and what excitement I had in the first few hours seemed distant and empty, much like most of the planets in the first few systems I explored. 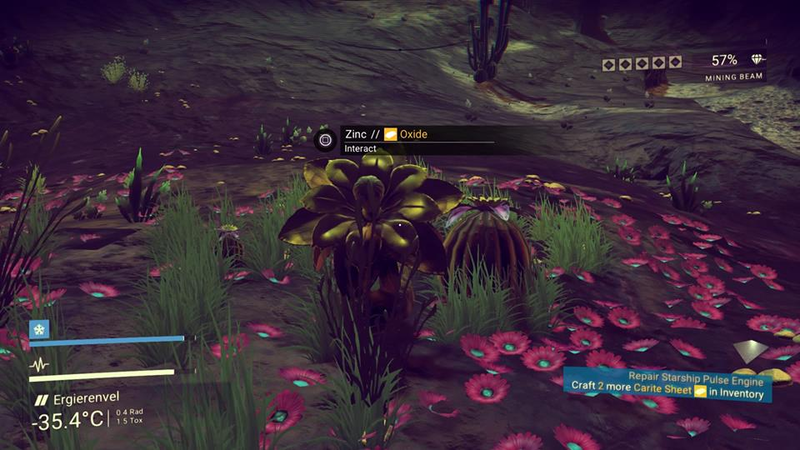 Another planet, more empty buildings to get tech from and the same old plants to get Zinc and Thamium9 from. Another planet, more aliens who, as with all the other aliens I'd encountered, would offer me three dialogue choices and then give me either a word in their language, tech, or a multi-tool. Another planet, more hope for finding something interesting or memorable waning. It doesn't make sense that no planets would be actually populated by a race. It doesn't make sense that alien tech all seems to be pretty much the same. It doesn't make sense that so many species across so many solar systems are pieced together with the same sets of body parts. It doesn't make sense the same elements would be present across all systems. 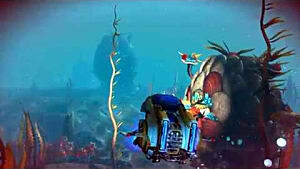 It doesn't make sense that every planet is littered with the same types of structures with few exceptions. There are so many things I could list off that just don't make sense or completely ruin the overall experience of the game, but I digress. The above is enough. And it should be enough to ward off potential buyers who are considering buying this half-game. Because that's what No Man's Sky is: a half-game sightseeing simulator with no hook, no hope, and no fun. I'm going to keep coming back to the game because I want so badly for it to be good. 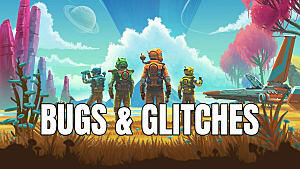 I want so badly for it to be an interesting and immersive experience and not a poorly wrapped-up universe with its procedurally-generated seams showing at every turn. But it's not and it's not going to be, at least not until the inevitable paid DLC. If all this sounds unappealing enough, I'm not even touching on the game's technical issues. 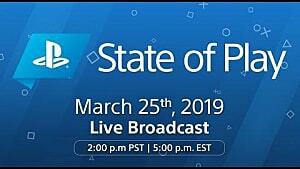 The PC version is as poorly optimized as can be, and the PlayStation 4 version is prone to crashing -- who even releases a $60 console game in a state like this and leaves it that way for a week? You buy a game on a console to not deal with optimization or crashes, and here Hello Games come with their $60 game with an unacceptably high crash rate. 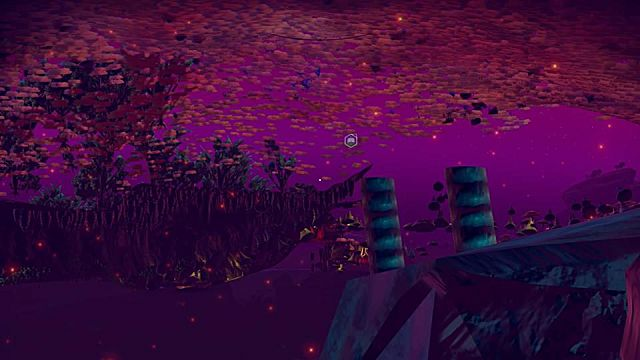 Bugged underground bottom-up view I stumbled on while exploring. The hyper-fan brigade may be more than happy to accept the game in its current state, but pretending like it's okay for the game to be released as it is for a $60 price tag, after all the pre-release promises and hype, does more harm than good to both to Hello Games and the industry at large. 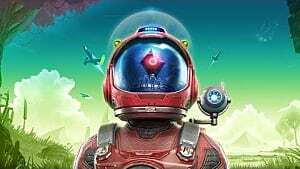 No Man's Sky is not a good game and it's regrettable it sold so much on hype alone as it has become yet another example of the evils of pre-ordering. It's a downright shame.